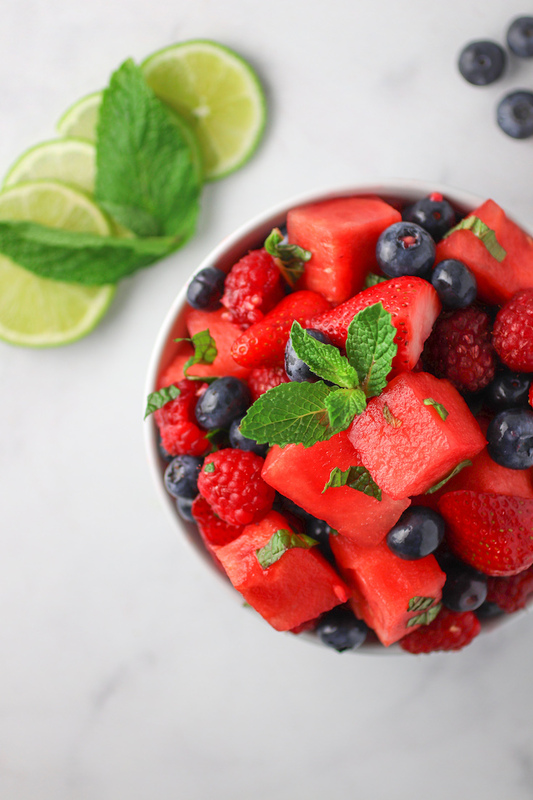 I saw this idea for a Mojito Fruit salad on Iowa Girl Eats. First I was like, ok a massive bowl of fruit; check. Then I saw it was also going to taste like a mojito that I haven’t been able to have in what seems like an eternity. Give it to me. 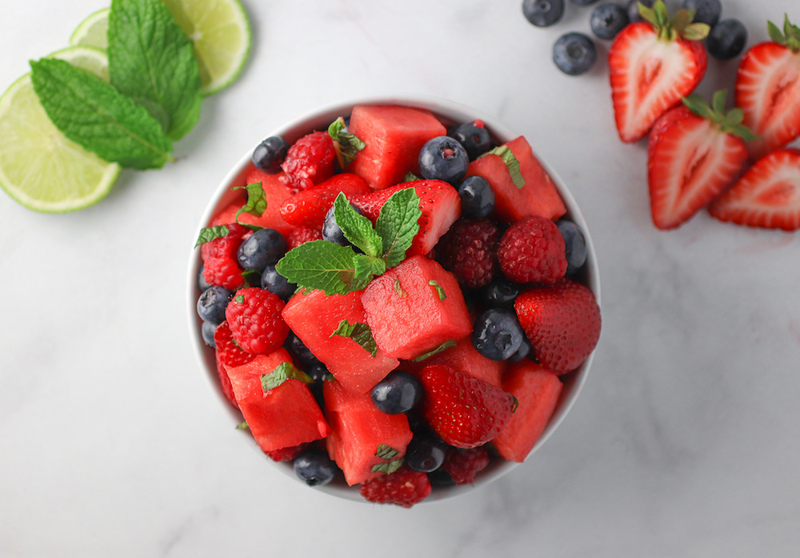 Add all of the fruit and mint to a large bowl. Whisk together the lime juice and the honey. 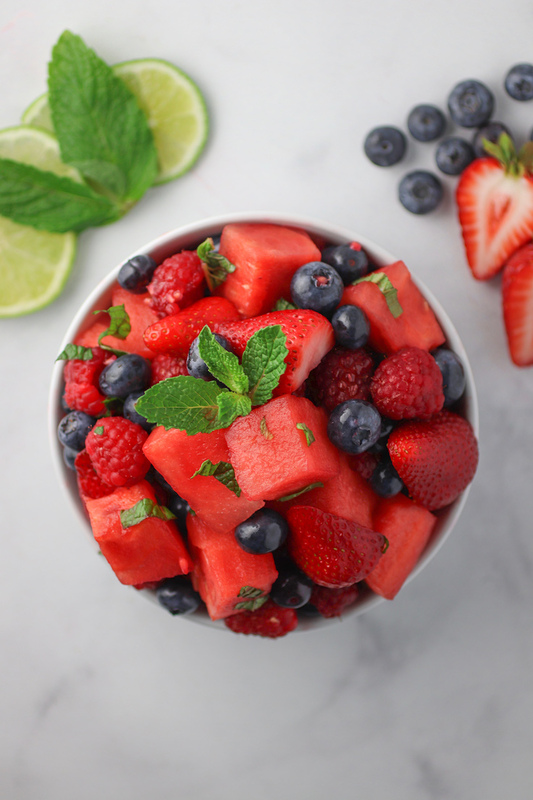 Pour over the fruit and gently mix through. Chill in the fridge for 10 minutes before serving.